UPDATE: This offer has ended. However, looks like you can still grab the device at a discounted price through Amazon. I’m a huge nerd, and I’m very susceptible to awesome advertising, so naturally I’m drawn to every new gadget that gets launched. Smartphones aren’t the exception – in fact, they’re the worst offender, I haven’t had the same phone two years in a row since the early days of my Nokia 5110. The downside? This habit takes its toll on my wallet. Luckily though, nowadays companies are aware that we like to change smartphones more often than socks (although I hope not…yikes), so there are tons of deals that can get you the latest, greatest device on the cheap. The latest deal comes from Samsung, who allow you to save $150 instantly on Galaxy S8, and save an additional $150 when you trade-in an eligible phone . No matter how you look at it, getting $300 off of what most people believe is the best looking phone of this generation is an incredible deal! The Galaxy S8 is therefore $150 off, and you can get it cheaper by another $150 if you trade in your current phone for the new S8. But what phones are eligible? Let’s read the fine print, shall we? The following devices are eligible for the $150 Trade In Value: iPhone 5 and above, iPhone SE, Galaxy S5 and above, Note 5, LG G4 and above, Google Pixel & Pixel XL. That’s sensible enough, otherwise my good ol’ Nokia 5110 would’ve been the most traded phone in this promotion. So if your smartphone is new-ish, pay Samsung a visit and drop the -ish, get yourself a new S8! 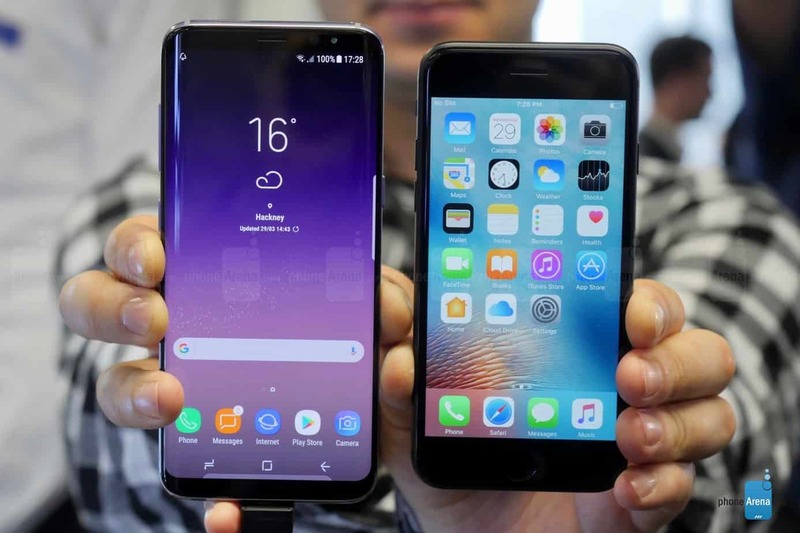 Prior to trading in device, you must perform a factory reset and remove all personal information from device and eligible devices must have reactivation lock, Google Factory Reset Protection and all other anti-theft locking software disabled. This isn’t a Samsung requirement as much as it is a protection of your own data – you don’t want to sell a phone with your texts, contacts and stored logins, am I right? Handing it off to Samsung isn’t all that different, so wipe and reset and hand it off clean! The deal ends August 12 – so if this is something you’re interested in, act fast to save a whopping $300 on the new S8. It’s as good as it gets, and it comes straight from the source – no middlemen, no strings attached. Have you taken advantage of the offer already? If so, share your shiny new phone in the comments below.